This piece is composed of two boxes. 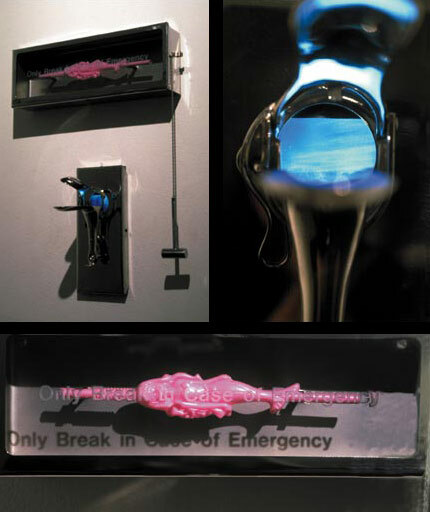 The upper box holds a pink mermaid drinking straw encased behind etched glass, warning, “Only Break in Case of Emergency.” The box below holds a speculum. As the viewer gazes into the speculum’s lips they see video footage of the California coastline. The relationship between the boxes is a whimsical one concerning travel, thirst, and possible viewpoints into and out of both nature and the female body.